Our Mighty Might is a unique design, portable, and lightweight hand-held transfer filtration system, designed for hard to reach places. 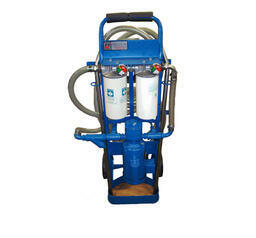 The dual element design allows for two stage filtrations for numerous filtration options. 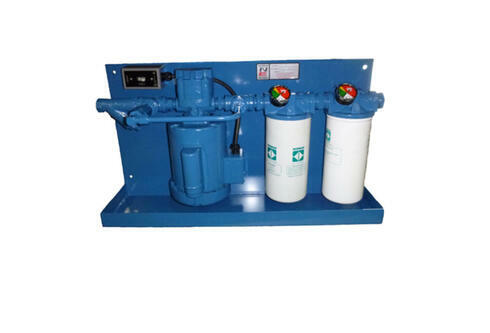 With the Mighty Might heavy-duty stainless-steel frame, industrial grade motor and pump it is ideal for most hydraulic and lube oil applications. Norman Equipment Company’s off-line filtration units are designed to filter your hydraulic and lube oils during oil transfer or as a kidney-loop process. It’s common to find contaminants ranging from water to particulate in new shipments of oil. On average seven grams of particulate contamination is found in every 100 gallons of new barreled oil. In most cases the oil in your system is at a higher cleanliness level than the oil you receive from your supplier. The Norman Filtration Systems are ideal for filtering particulate and water contaminants found in existing hydraulic and lube oil systems. By not removing these contaminants, critical components are often damaged leading to expensive repairs or replacements and down-time. 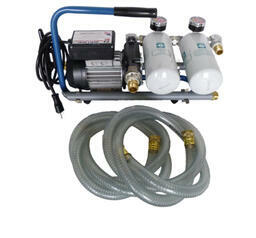 Off-line filtration that’s efficient & economical. Featuring the kidney-loop filtration which is one of the most efficient means of filtering hydraulic, lube, & gear oils. When filtering your oils with a Norman Filter Panel you’re processing your oil at a steady slow rate allowing for optimal filtration. By using a combination of elements, both particulate, and water contaminants can efficiently be removed from petroleum-based oils. Our Diesel Carts are designed to filter your diesel, hydraulic, & lube oils during oil transfer or as a kidney loop process. 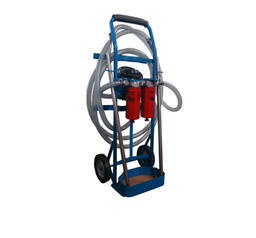 Ideal for filtering particulate & water contaminates found in fuel systems. When every dollar counts, it’s good to know that Norman meets all of your requirements at a price nobody can match, feature for feature, dollar for dollar. It is common to find contaminants ranging from water to particulate in new shipments of fuel. On average seven grams of particulate contaminations is found in every 100 gallons of new barreled oil. In most cases the oil in your system is at a higher cleanliness level than the oil you receive from your supplier. The Norman Filtration Systems are ideal for filtering particulate and water contaminants found in new fuel and fuel found in existing systems. By removing these contaminants, critical components are often damaged leading to expensive repairs or replacements and down-time. Norman Equipment has many solutions for all your Fluid Transfer needs. 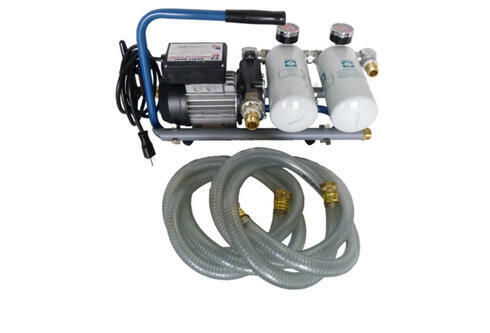 Norman Equipment Company’s offline filtration units are designed to filter your hydraulic oil, lube oil or diesel fuel during fluid transfer or as a kidney-loop process and are available in three basic models, the Norman Filter Cart, the Norman Filter Panel, and the Mighty Might portable filtration system. Norman also does extensive work customizing filter carts, panels, and portable filtration units to fulfill all your Fluid Transfer needs. Our High Viscosity Mighty Might is a unique portable and lightweight hand-held diesel transfer and Filtration System designed for those hard to reach places. 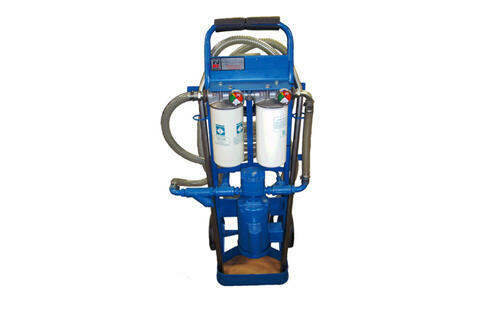 If you need to filter a fluid with a viscosity rating greater than 500 SSU, Norman Equipment Company's line of portable High Viscosity Filtration Systems, can filter fluids up to 7500 SSU and up to 10,000 SSU with the High Viscosity Mighty Might. 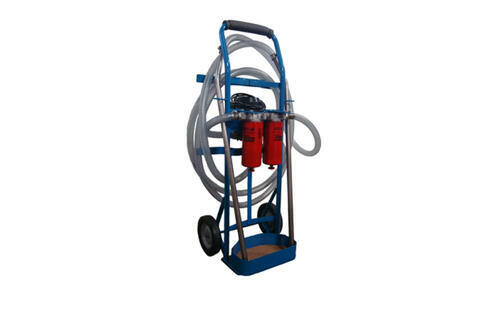 The High Viscosity Filter Cart and Panel have a flow rate of 4 GPM and the High Viscosity Mighty Might has a flow rate of 1 GPM. Place the High Viscosity Mighty Might, our hand-held unit, on top of a 55-gallon oil or coolant drum to easily transfer to any reservoir or coolant system. With the Mighty Might heavy-duty stainless-steel frame, industrial grade motor, and pump, it’s ideal for hydraulic and lube oil applications. For larger systems requiring transfer rates higher than 4 GPM we offer a Panel mounted unit. 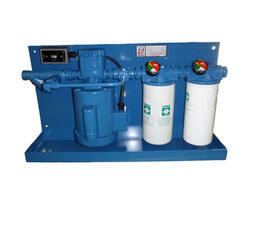 Kidney-Loop filtration is one of the most efficient means of hydraulic, lube, and gear oil filtration. When filtering your oils with a Norman High Viscosity Filter Panel you are always processing the fluid at a regular steady rate allowing for optimal filtration while maintaining desired cleanliness levels. By using a combination of elements, both particulate and water contaminants can efficiently be removed from petroleum-based oils with a viscosity up to 7500 SSU! Norman Equipment Company’s off-line filtration units are designed to filter your hydraulic and lube oils during oil transfer or as a kidney-loop process. It’s common to find contaminants ranging from water to particulate in new shipments of oil. On average, seven grams of particulate contamination are found in every 100 gallons of new barreled oil. In many cases, the oil in your system is cleaner than the oil you receive from your supplier. Particulate can damage expense valves, pumps and other hydraulic system components resulting in down production time and lost money from shorter product life.